Let's not overlook the positives, which include impressively quick and accurate AF, a versatile flip-up screen, multi-mode lens ring control, built-in ND filter, built-in flash with wireless control, and an accessory port comaptible with EVF and external mic accessories. 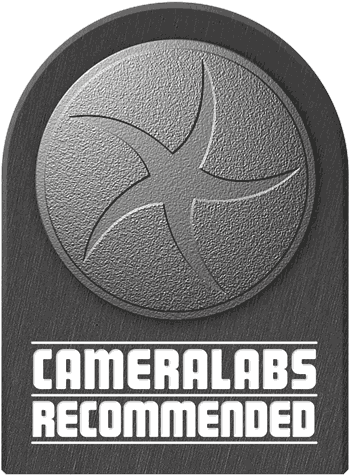 Most of all though, the XZ-2 is about the handling experience rather than the specifications; it's equally well suited to experienced enthusiasts looking to match the control and handling experience of a 'serious' camera as it is to improving novices not yet ready for a system camera or DSLR, either way we're happy to give it a Cameralabs Recommended Award. The Olympus XZ-2 is a compact aimed at the demands of enthusiasts. 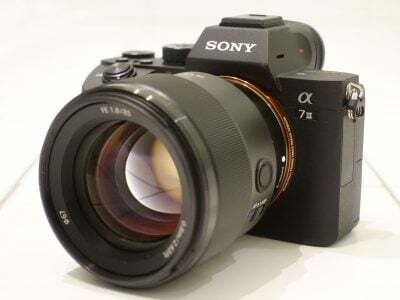 Successor to the XZ-1, it sports the same 28-112mm equivalent 4x zoom with a bright f1.8-2.5 maximum aperture, but swaps its predecessor’s 1/1.63in 10 Megapixel CCD sensor with a 1/1.7in CMOS chip with 12 Megapixels. The processor is also updated to the latest TruePic V and the XZ-1’s 610k dot OLED screen is updated with a 920k dot LCD touch-screen. The AF system is improved with a 35-area contrast detect system similar to that on the Olympus PEN models and the sensitivity range is extended beyond the XZ-1’s 6400 ISO to a new maximum of 12800 ISO. The new sensor and processor improves the XZ-2’s continuous shooting performance to 5fps and it now boasts 1080p30 full HD video recording. All told, the XZ-2 represents a significant evolution on the XZ-1 a model that owed its success and popularity to its combination of excellent low light performance in a compact format and which remains, for now, in the Stylus line-up. But since the XZ-1 appeared at the beginning of 2011 things have of course moved on, and there’s now a much wider field to chose from if you’re looking for a fixed lens compact with a big sensor and a bright lens. 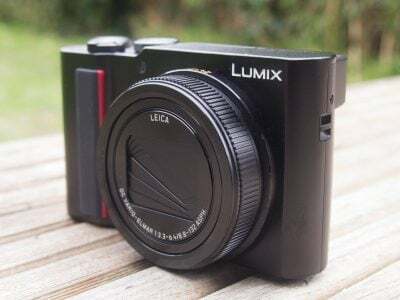 I’ve compared the XZ-2 against its biggest rival, the Panasonic Lumix LX7, and also against the Nikon COOLPIX A which represents a different proposition. With a large APS-C-sized sensor and no optical low pass filter, the COOLPIX A promises unsurpassed image quality from a compact, and the Lumix LX-7 recently snatched the title of brightest lens on a compact camera from the XZ-2. So these three manufacturers are pulling out all the stops to dominate this market. Read my full review to find out which offers the best balance of quality, features and performance for the demanding enthusiast photographer. The Olympus Stylus XZ-2 is a little bigger and heavier than its predecessor, measuring 113 x 65 x 48mm and weighing 346 grams including the battery and SD card. From the front, the XZ-2 looks more angular, less consumer compact and more enthusiast orientated than the XZ-1. The top panel is no longer a flat plane, but dips on the right to accommodate the shutter release and mode dial. The front plate is a little busier with the addition of a detachable handgrip and manual focus lever with a function button at its centre. The detachable grip is an excellent idea. Once attached with the integral plastic screw it looks and feels like part of the camera and provides a more secure and comfortable grip for your fingers. But if you don’t like the additional (negligible) bulk and weight, or don’t feel the need for it, it’s easily removed. Round the back there’s a moulded thumb grip made of the same textured soft plastic which makes for secure and comfortable single-handed operation. Side-by-side with the Lumix LX-7 there’s little to separate them in terms of portability. The LX-7’s dimensions are 111 x 67 x 46 and it weighs 298 grams with the battery and card. So it’s a little taller, a little thinner and around 15 percent lighter. The fixed grip on the LX-7 provides the same sort of secure handling as the removable one on the XZ-2, and where the XZ-2’s flip-out screen protrudes further at the rear, the LX-7’s lens sticks out further at the front. These protrusions make both models a little trickier to remove from a coat pocket than the Canon PowerShot S110 which looks and feels much more like a ‘proper’ compact. The PowerShot S110 measures 99 x 60 x 27 and weighs 198g, a totally different class of compactness to the XZ-2 and LX-7 and the only one I even attempted, successfully, to slip into the pocket of my jeans. But though the S110 may be small and light, it lacks a hotshoe and has quite poor battery life. The XZ-2’s top panel is almost identical to the XZ-1’s aside from the revised profile. The pop-up flash is located on the left end, to the right of it, slightly offset but directly above the lens is the hotshoe with the Olympus accessory port at the rear. Twin stereo mics are positioned in front of the hotshoe and the on/off button with a cool blue LED surround that illuminates in power-saving mode is positioned to the right of it. Then there’s a downward slope to a lower section with the shutter release and zoom collar in matt black plastic followed by the mode dial on the right corner. This has a knurled edge which protrudes at the rear so you can turn the dial by moving your thumb a short distance up and forward from its normal resting place on the rear pad. As before, the mode dial has positions for PASM shooting modes as well as Intelligent auto with scene detection, There’s a SCN position for the 15 scene modes and ART for the Art filters. The XZ-1’s dedicated low-light mode position is gone, replaced by a second custom position labelled C2. On the rear of this sunken top panel section there’s a sloping rear edge into which is inset the dedicated record button, moved from its earlier position in the top right corner of the thumb pad. Like the mode dial, this is ergonomically positioned so that it can be operated with your thumb, but not so close that it can be accidentally pressed, which was a problem on its predecessor. This section of the XZ-2’s top panel is intelligently designed with everything you need for selecting an appropriate shooting mode and pressing the shutter release or record button within easy reach of the thumb and index finger of your right hand. Moving round to the back, immediately below the thumb rest are playback and Fn1 buttons. Below that is the standard Olympus arrow pad – a wheel controller with direct access to exposure compensation, flash, drive mode and AF point selection at the cardinal points. Below that are two further buttons, one for the main menu and the other to toggle display information overlays. On a touch-screen camera you might expect these controls to play a less central role, but, as on other Olympus models that feature touch screens, on the XZ-2 the physical controls are the main means of accessing the camera’s settings with the touch-screen playing a secondary role. The screen itself occupies the remainder of the rear panel. It’s 8mm thick and, though recessed into the camera back, stands slightly proud of the rear control panel, not a bad thing as that makes it easier to get hold of and pull out into the up or down facing position. On the left side of the body a hinged door provides access to the USB / A/V and HDMI port. The USB / AV port uses a proprietary Olympus connector and a USB cable is supplied so you can download photos and video and charge the camera, but a cable to connect to a TV is an optional extra. Likewise the HDMI port uses a D-type micro connector, rather than the more common C-type, so you’ll need to buy the optional accessory cable if you want to connect the XZ-2 to your HDTV. The combined battery and card compartment is behind a spring-loaded door on the bottom plate with a centrally mounted tripod bush right next to it, which means you can’t change the card or battery while the camera is mounted on a tripod or has a quick-release plate attached. The Stylus XZ-2 uses the same LI-90B battery as the Tough T-G1 with a rating of 1270mAh which provides sufficient power for 310 shots on a full charge, marginally down from the 320 shots of the XZ-1 which used the smaller LI-50B. While on the low side compared with a DSLR, 320 shots is fairly respectable for a compact and is on a par with the 330 shots quoted for the Lumix LX-7 and well in excess of the rather meagre 200 limit of the PowerShot S110. The battery is charged in the camera with the supplied charger and USB cable. In some respects this is a disadvantage as you can’t charge one battery while still shooting with another. But I think this is a fairly unlikely scenario and one that’s outweighed by the advantage of not having to take a battery charger with you if you’re travelling with a laptop -which can also be used to charge the XZ-2 with the supplied USB cable. The Stylus XZ-2 has a built-in pop-up flash which is activated via a mechanical release on the rear panel just behind it. You need to slide this switch to the side to use the flash even in auto modes, a situation I think enthusiast photographers would prefer to having the flash pop-up unexpectedly in low light when you don’t necessarily want it. It has six modes, Auto, Red-eye reduction, Slow synchronisation with red-eye reduction, Slow synchronisation, Fill-in for exclusive flash, and Manual. Olympus quotes a maximum range of 11.1 Metres at 1600 ISO and there’s also a published guide number, always more useful for comparison purposes, of 5.2 (Metres, 100 ISO). Speaking of which the Lumix LX-7 rather irritatingly doesn’t have a published Guide Number, but Panasonic quotes a maximum range of 8.5 Metres at the wide angle focal length with the ISO set to auto. So it’s fair to assume it packs bit less punch than the XZ-2. Canon likewise puts the maximum range of the PowerShot S110’s built in flash at 7 metres again, there’s no ISO setting specified but it’s flash is almost certainly less powerful than the Stylus XZ-2’s. The S110 also lacks a hotshoe which both the XZ-2 and LX-7 have. The XZ-2’s can be used to mount an external flash and if you’re using Olympus flash units off the camera they can be wirelessly triggered from the built-in flash. At the rear of the hotshoe is the Olympus Accessory port introduced on the PEN range, which provides electronic couplings for hotshoe mounted accessories including two electronic viewfinder options and the EMA-1 Microphone adapter. The XZ-2 isn’t, however, compatible with the Penpal PP-1 Bluetooth adapter for transferring images to a smartphone. The XZ-2 has a 3-inch LCD screen with approximately 920 thousand RGB dots providing a 640 x 480, 3:2 proportioned display. This replaces the 620k dot OLED screen of the XZ-1, so the display technology has changed, but more importantly the newer screen is higher resolution and touch-sensitive. The screen is a capacitance-type, similar to those used on smartphones and is very responsive. As I’ve already mentioned, it’s not as central to XZ-2’s operation as the physical controls, I’ll talk more about that in the handling section below. The screen has a double-articulated hinge at its base which means it can be folded out into an up or downward facing position. For waist-level shooting the 90-degree upward orientation works well and, though you can only fold it down to a 45-degree position, that also works well for overhead shooting. You can’t fold the screen forwards for self-shooting like on the PEN E-PL5, but then the 3 inch screen on the Lumix LX-7 is fixed, so less versatile though making for a lighter more compact design. The same goes for the S110’s fixed 3 inch 461k dot screen. The S110’s screen is touch-sensitive though, as on the XZ-2 the touch functions augment, rather than replace the physical controls and you can’t touch-focus during movie recording. The XZ-2’s screen can’t flip up and over like the E-PL5’s screen and, thankfully, neither does it share its 16:9 proportions. Like the Lumix LX-7, the XZ-2’s screen is 3:2 proportioned, striking a good balance for both it’s 4:3 proportioned stills and 16:9 HD video. In still shooting modes there are narrow black bars down the sides and the information overlay extends into this area. When you press the movie record button the display automatically switches to a 16:9 view, which can make it difficult to frame your shot beforehand, however, there is an option to switch the display to 16:9, or for that matter 3:2, or 1:1 for square format shooting. The XZ-2 is compatible with both the VF-2 and VF-3 Olympus optional accessory electronic viewfinders. The cheaper VF-3 has a resolution of 920k dots and the more expensive VF-2 has a higher resolution of 1.44 million dots. Personally I’m a big fan of viewfinders even on compacts, and with the VF-2 fitted into its hotshoe and accessory port the XZ-2’s handling is greatly improved, especially outdoors in bright sunlight where all non-viewfinder equipped models struggle to be seen. With a viewfinder added the XZ-2 becomes a lot less compact, though, and it’s a bit of a struggle to get it in and out of even a capacious coat pocket with the VF-2 in place. This is a minor drawback though and if, like me, you prefer to use a viewfinder, the XZ-2 provides the a good choice of options. The Lumix LX-7 also provides the choice of two optional viewfinders, the optical VF1 and the electronic 1.44 million dot LVF2. The Nikon COOLPIX A offers only an optical viewfinder, though, at almost half the cost of the camera, it’s probably not an option many will go for; Olympus and Panasonic not only offer greater choice, but more reasonable (and similar) pricing, even so the additional cost is substantial and something to be considered when making price comparisons. The Canon PowerShot S110 lacks an accessory port, so it’s the screen or nothing. It’s also worth mentioning the more recent Panasonic Lumix LF1 which is roughly the same size as the Lumix LX7 but manages to squeeze in a tiny electronic viewfinder in the corner – the quality and apparent image size are nowhere near what you’ll get with the XZ-2 or LX7 when fitted with their optional viewfidners, but it’s built-in and a lot smaller. The XZ-2 has the same 4x zoom lens as its predecessor, with a range of 6-24mm (28-112m equivalent) and a maximum aperture of f1.8-2.5. That’s a useful range with a respectable wide angle and portrait zoom. The Lumix LX-7 has a similar 3.7x focal range but starts at a 24mm equivalent extreme wide angle with a shorter telephoto reach of 90mm – perfectly suited to portraiture. When it launched in early 2011, the XZ-1’s f1.8-2.5 focal ratio was the brightest available on a compact, but since then everyone’s been playing catch-up, and Panasonic answered with the LX-7’s f1.4-2.3 lens, re-establishing its lead. The Nikon COOLPIX A’s fixed 28mm prime has a relatively pedestrian f2.8 focal ratio. The comparatively small maximum aperture and the 28mm wide angle both mitigate against the COOLPIX A for portraiture as the perspective isn’t the most flattering and it’s difficult to throw backgrounds out of focus with shallow depth of field. This is one of the XZ-2’s strong points, though when fully zoomed in the aperture stops down to f2.5 -only a little brighter than the COOLPIX A’s f2.8. The COOLPIX A’s bigger sensor also allows it to claw back some of the XZ-2’s advantage. The Canon PowerShot S110’s 5x zoom outreaches the XZ-2 at both ends with an equivalent range of 24-120mm, however its f2-5.9 focal ratio is not as bright and the gap gets wider as you zoom in. It’s also worth noting the more recent Lumix LF1 has a 7.1x 28-200mm equivalent zoom with an f2-5.6 focal ratio. Below are examples comparing the potential depth of field on the COOLPIX A and the Olympus XZ-2. For the initial comparison the XZ-2 is set to its 28mm focal length and both cameras are set to their maximum aperture. For the second comparison the XZ-2 is zoomed in to its maximum 112mm equivalent and I’ve moved back to produce the same framing. Interestingly, though the Olympus lens is more than a stop wider at 28mm its ability to produce shallow depth of field is compromised by the smaller sensor and, even at f2.8 the COOLPIX A produces better results with a slightly more blurred background. Zooming the XZ-2 to its 112mm focal length and moving back to produce similar framing produces a much better result, though, with improved framing and perspective and a less cluttered composition as well a more blurred background. The XZ-2 has built-in sensor-shift stabilisation which compensates for vertical and horizontal camera motion to permit hand-held shooting at slower shutter speeds. There are three modes, Mode 1, which works in both dimensions, as well as horizontal and vertical options for stabilisation when panning. You can also turn it off altogether. To test the Stylus XZ-2’s stabilisation I zoomed the lens to its 112mm equivalent and took a series of shots in Shutter priority mode with the stabilisation turned off, then with it turned on in Mode 1. As you can see from the crops below, zoomed in, the XZ-2 can be hand-held at speeds as slow as 1/15th – around three stops slower than conventional wisdom suggests is safe to eliminate camera shake. 100% crop, 16-24mm at 24mm 100 ISO 1/15th IS Off. 100% crop, 16-24mm at 24mm 100 ISO 1/15th IS On. The XZ-2 provides a very similar range of shooting modes to those on the Olympus PEN range of mirrorless compact system cameras. And with two custom positions available on the mode dial it provides arguably more scope for customisation than even the PEN E-PL5 mirrorless model. In PASM shooting modes the Stylus XZ-2 also works in a similar way to the PEN models. Rotating the control wheel sets exposure compensation, with Program shift activated by first pressing the up position, then using up and down to shift. Similarly in Aperture and Shutter priority modes an initial upward press on the wheel is followed by left and right to adjust the priority setting. In Manual mode, once the up position is pressed its left/right for aperture and up/down for shutter speed. You can, of course, enlist the aid of the lens ring to make exposure setting changes and I’ll talk more about how that works in the handling section. In addition to PASM modes the Stylus XZ-2 has point and Shoot iAuto mode with scene detection. Olympus pioneered results-based controls and so it’s no surprise to see Live Guide controls appear when you press the centre button on the control wheel. These provide uncomplicated slider-based controls for jargon-free image adjustment including colour saturation, brightness, blur background and Express motion (slow shutter speed). The Live Guide options are also accessible using the touch screen and, in fact, work much more intuitively when used this way. The XZ-2 also has another Olympus innovation that’s been adopted in one form or another by just about every compact manufacturer, Art filters. Olympus hasn’t held back here either with pretty much the full complement that’s available on the mirrorless E-PL5. There are 11 all-in including the newer Pale and Light Colour, Light Tone, Cross Process, Gentle Sepia, and Key line to the earlier Pop Art, Soft Focus, Grainy Film, Pin Hole, Diorama, and Dramatic Tone. As before, there are ample customisation options with a wide choice of filter effects and framing. For some reason though, the watercolour filter, newly appeared on the E-PL5 has been omitted. The XZ-2 provides auto exposure bracketing up to a maximum of three frames up to 1EV apart in 0.3EV increments. That’s a little disappointing given that in most other respects the XZ-2 closely matches the E-PL5 which offers up to 7 frames. It’s pretty good for a compact, though, and compares favourably with the Lumix LX-7 which also provides three-frame bracketing. The Nikon COOLPIX A manages a little better though, like the XZ-2 and LX-7, it’s limited to three frames, but can shoot those at up to 2EV apart. It also scores over the XZ-2 with its interval timer and Auto ISO sensitivity control, which overrides manual ISO settings when the situation demands it. One final thing worthy of mention is the Stylus XZ-2’s built-in neutral density (ND) filter. Virtually no mention of this is made in the manual or marketing, yet it’s a really useful feature to have and one that Panasonic and Canon also include on the LX7 and S110. The ND filter reduces the amount of light entering the lens by three stops, which allows you to use a slower shutter speed, 1/8 instead of 1/60 for example, so that you can introduce subject blur, to get those atmospheric river shots with fluid flowing water. The Stylus XZ-2 improves on its predecessor’s movie modes with a 1080p30 Full HD mode in addition to the 720p30 mode previously offered. The XZ-1’s 3:2 SD mode is dropped. Files are encoded using the H.264 codec and saved as QuickTime .mov files. There’s no published data for bit rates, but videos I recorded had an average bit rate of 20Mbps resulting in files of around 180MB per minute of footage. You can record continuously for 29 minutes or up to 4GB, whichever is sooner. There’s no movie position on the XZ-2’s mode dial – pressing the movie record button in any mode starts recording immediately. Aperture, shutter speed and ISO sensitivity are all set automatically, regardless of the position of the mode dial and you can’t adjust exposure settings manually, but the exposure compensation can be set by +/- 3EV prior to pressing the record button. Framing movie shots can be a little problematic as the screen automatically switches from its default 4:3 stills shooting display to 16:9 when you press the record button. That’s inevitable for spontaneous movie recording, but if you know in advance you’re going to want to record video, it’s a simple and quick operation using either the Live control or Super Control Panel to change the format to 16:9 for easier framing. You have the choice of Single (S-AF) or continuous (C-AF) auto focus for movies, which inherit the stills shooting AF mode. The big disappointment here, though, is that you can’t use the XZ-2’s touch-screen to focus as it’s completely disabled during movie recording. You can focus manually, though, using the lens ring, which is surprisingly easy and produces excellent results, but C-AF is also very good and, unlike the COOLPIX A, doesn’t visibly focus beyond the subject before returning. The other advantages the Stylus XZ-2 enjoys over the COOLPIX A are image stabilisation, its zoom lens of course, and its dedicated movie record button, so for shooting spontaneous clips it’s much better suited, though it lacks the Nikon model’s manual exposure options and has fewer video modes. The PowerShot S110 provides a wider range of video modes than the XZ-2 with 1080p at 24fps, 720p at 30fps or VGA again at 30fps. In other respects they’re very similar, with neither offering manual exposure control or touch-focus during movie shooting. Like the XZ-2 the S110 allows you to apply effects like miniature to video, but it also offers Super Slow Motion Movies at reduced resolution. But the Panasonic Lumix LX-7 trumps all three with a best quality 1080p50/60 mode and full manual exposure control during recording. It also has a high speed mode that slows down the action to one quarter real time. Speaking of special modes, you can use all of the Stylus XZ-2’s Art filters for movie recording although the more processor-intensive ones slow the recording frame rate; for the Diorama (miniature or ’tilt-shift’) effect this results in playback speeded up by a factor of about 8 as you can see in the clip below. This clip, like the others below was shot using the Stylus XZ-2’s best quality 1080p30 HD video mode. The quality is good and this clip has the trademark warm tones familiar from the PEN models. The continuous AF does a great jpb of keeping everything in focus, even during the zoom, though you can hear the buzz of the zoom motor. Stabilisation works well on this hand-held shot, ironing out all but the most severe movements. Stabilisation was disabled for this tripod-mounted panning shot. The XZ-2 does a good job with the exposure and its CMOS sensor copes well with the bright reflections on the water. Once again, the C-AF does an excellent job of keeping everything in focus without intrusive jumping about; once again, though, the buzzy zoom motor is a little distracting. The low light conditions and the profusion of surfaces in this scene causes many cameras to come to grief when in continuous AF mode, but the Stylus XZ-2 copes with it all admirably. Image quality is good, with little evidence of noise and the colours are well saturated. Like the COOLPIX A, though, the Stylus XZ-2’s auto exposure respondes to the bright exterior when panning past the windows a little zealously. The coffee cup example tests the Stylus XZ-2’s continuous AF mode in more demanding circumstances than the previous clips, but its performance doesn’t disappoint. It changes focus from the close-up coffee cup to the more distant bar swiftly and surely. There’s a little bit of the back-and-forth typical of contrast-detect AF systems (watch the lettering on the biscuit packet in the saucer) but you’d harldly notice it if you weren’t looking out for it. Finally, here’s an example of the XZ-2’s Diorama mode applied to video. There’s no audo with this mode and the playback speed is around 8x real time. The biggest difference in handling terms between the Olympus Stylus XZ-2 and the earlier XZ-1 is, of course, the touch screen. The introduction of a touch-screen on a compact often results in a reduction in the number and role of the physical controls, but where Olympus has introduced a touch-screen on other models, most notably its PEN mirrorless compact system range, it has restricted it to a fairly limited range of functions and maintained the central role of the physical controls. The XZ-2 is no different, with the touch screen adding touch-focus (for stills only, though, not movies), touch-shooting, Live Guide control and menu and playback navigation. Live Guides are the novice-friendly results-based controls available in intelligent Auto mode. When you select the iAuto position on the mode dial a small tab appears on the right edge of the screen and tapping or dragging it displays a tab with the six Live Guide options – Saturation, Colour, Brightness, Blur background, Express motions, and Shooting tips. From there it’s simply a matter of tapping the one you want and dragging the slider to make the adjustment. An icon on the left of the screen indicates the current touch mode which can be toggled off, for focusing or for shooting. Touch focussing is without doubt one of the most useful things you can do with a touch-screen equipped camera. The proliferation of smartphone cameras means we’re all familiar with the tap-to-shoot process, and its great for quick shots, but personally I prefer to use the shutter button so, while it’s a nice option to have it’s even better that it’s configurable. The XZ-2’s screen is a capacitance type similar to those used on smartphones, so it’s very responsive and also makes menu navigation and playback a more tactile and enjoyable experience than the repeated button pressing and wheel spinning it usually involves. But it only goes so far, for example, beyond swiping to playback shots it doesn’t do gestures, to zoom in and out you tap screen icons rather than pinch (though you can zoom x2 by double-tapping). If you’re not a fan of touch-screens you can simply disable it and forget about it. That it will compromise the handling of the XZ-2 very little explains just how peripheral the touch screen is to XZ-2’s operation. I certainly think Olympus could make more of the touch-screen on the XZ-2; a good start would be to enable touch focussing for movie recording and expand the use of the touch controls beyond the confines of the Live Guides. The trick, of course, is to make the most of the touch-screen without compromising the physical controls, which on the XZ-2 are ample and well-designed. Like the Nikon COOLPIX A and Panasonic Lumix LX-7, the Stylus XZ-2 employs a lens ring as its main exposure control. The XZ-2’s is extremely versatile; as an exposure control it sets either the aperture or shutter speed respectively in A and S modes and in Manual it sets the shutter speed with aperture control assigned to the rear wheel and in Program mode it shifts the combination. Flip the front mounted switch and the lens ring is reassigned for manual focussing. In this mode the discrete click stops which provide crucial feedback for setting exposure are dropped in favour of a silky-smooth slightly dampened action. It’s a system that’s hard to fault as it works equally well in either mode and does exactly what’s needed. What’s more, you can configure the lever so that it switches the ring to zoom rather than focusing if an AF rather than manual focus mode is selected. The Live Control and Super control panel overlays are Olympus’s quick menu options – very few shooting settings are provided on the main menu systems which is used primarily for camera settings and custom options. I’m a big fan of the Super Control panel which provides all the main shooting settings, including ISO, White balance, stabilisation, AF mode, metering mode, picture quality on so on, on one, easy to read screen. With the touch-screen enabled, you can tap individual settings to toggle through the options which is nice, but the individual cells in the SCP table aren’t big enough to do this with confidence and it’s all to easy to tap an adjacent setting by mistake. With two custom positions, C1 and C2, on the menu, it would be fair to say the the XZ-2 offers greater customisation than the already very flexible, PEN range whose other custom features it pretty much emulates. There are two programmable Fn buttons, Fn1 on the rear below the thumb rest and Fn2 in the middle of the manual focus lever on the front panel. The Olympus Stylus XZ-2 has a contrast-detect 35-point AF system. In practice it seems as quick as the AF of the PEN range, which has a reputation for speed and accuracy. In good light and even in failing light it locks on to the subject with very little perceptible delay. As I’ve already mentioned, the touch-screen can be tapped to meter and focus, or meter, focus and shoot in a single operation, but if you prefer a more conventional approach you can turn that off, in which case tapping merely selects one of the 35 AF areas. With face detection enabled the camera will lock onto multiple faces in the frame and you can also set one of three eye priority AF modes – left, right and auto which selects the eye closest to the camera. All very useful and it works, though for the eye priority mode to work effectively the subject does need to be reasonably close and well lit. Set to continuous AF mode, the XZ-2 will adjust its focus as the subject approaches or moves further away. Like other cameras with contrast-based AF systems this can prove a bigger challenge than those with phase-detect AF systems. A contrast-based system can’t help but search back and forth a little when confirming focus, which means it may struggle to keep up with a subject in constant motion. As well As S-AF and C-AF modes there’s a C-AF TR tracking mode which locks onto a subject and follows it around the frame. But the XZ-2 doesn’t support the S-AF MF mode which allows you manually fine tune once the AF has locked. Manual focussing using the lens ring is easy in good light; with MF assist activated the screen automatically magnifies the view by 2x and there’s also a distance scale to help you out. In low light, though, it isn’t so straightforward and you’re left wishing for something akin to the focus peaking of Sony’s NEX models. The Stylus XZ-2 has two continuous shooting modes, Sequential shooting at 5fps and Hi-Speed at 15fps, but at a greatly reduced HD video resolution of 1920×1080 pixels. In both modes the exposure, white balance and focus are set on the first frame. At the slower, full resolution, 5pfs speed the specifications say the XZ-2 can shoot a 200-frame burst. To test it I fitted the XZ-2 with a freshly formatted Sandisk Extreme Pro UHS-1 card rated at 95MB/s, put it in Shutter priority mode and set the image quality to Large Fine JPEGs. I set the shutter speed to 1/250 – fast enough not to compromise the 5fps speed claim and held the shutter down. The XZ-2 fired what sounded like a very regular burst of exactly 200 images before stopping. I timed the burst at exactly 40 seconds – or 5fps, bang on the money. So the XZ-2 delivers exactly what Olympus says it will, though it’s a bit cheeky that there’s no mention either on the Website or in the manual that the faster 15fps mode operates at video resolution. In RAW mode The XZ-2 fired four frames before slowing considerably. It got the first four frames out slighter quicker than 5fps, but then slowed to around 2fps. So the RAW buffer is small, but it empties in a second or two and you can start shooting again – albeit for only a shot four-frame burst at 5fps if you’re shooting RAW. This is an average continuous shooting performance from the XZ-2, though 5fps for full resolution bursts effectively as long as you like in JPEG shooting modes is not a bad rate for a compact and a big improvement on the 2fps of its predecessor. The Panasonic Lumix LX-7 does better though, like the XZ-2 it can shoot a long (100 frame) burst at 5fps, but changes the focus exposure and white balance between shots. 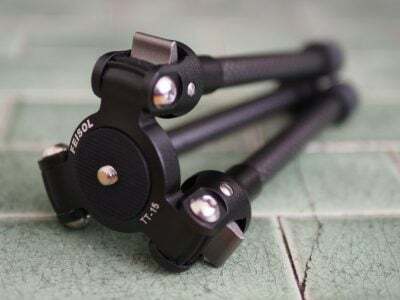 It can also shoot a fixed focus 12-frame burst in a second. The COOLPIX A is slightly slower, with a quoted rate of 4fps that in my tests turned out to be a little faster. The Canon PowerShot S110 is the laggard of the bunch with, frankly mediocre continuous shooting performance. It can fire a ten-fram burst in a second with indefinite continuous shooting at around 2fps. The Stylus XZ-2 is fitted with a newly designed 12 Megapixel CMOS sensor that has a physical size of 1/1.7 inches. That’s the same size as the Lumix LX-7’s 10 Megapixel sensor, but significantly smaller than the APS-C sized sensor in the Nikon COOLPIX A. A larger sensor size should give the COOLPIX A a quality and noise advantage, but as well as being physically bigger, it has a higher 16.2 Megapixel resolution, which may mitigate against it. The PowerShot S110’s sensor shares the 1/1.7in physical size, with the same 12 Megapixel resolution as the XZ-2. The XZ-2’s maximum image size is 3968 x 2976 pixels in 4:3 proportions. Two compression settings, Fine and Normal are available at this resolution and there are two smaller 4:3 sizes at the Normal compression setting. Additional 16:9, 3:2 and 1:1 aspect ratios are also available as well as RAW shooting. Large Fine JPEGs are on average around 5MB in size. The sensitivity range runs from 100 to 12,800 ISO, up from a 6400 ISO maximum on the XZ-1 and the earlier model’s 800 ISO Auto ISO limit no longer applies. The shutter speed range is 1/2000 to 60s plus a bulb mode with a maximum 16 minutes. To see how the quality of the Olympus Stylus XZ-2 measures-up in practice, take a look at my Olympus Stylus XZ-2 quality and Olympus Stylus XZ-2 noise results pages, browse my Olympus Stylus XZ-2 images, or skip to the chase and head straight for my verdict.